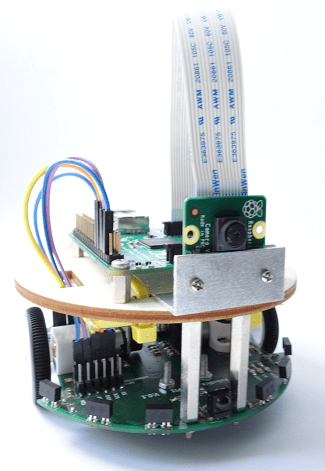 MRPi1 is a small mobile robot build on the Raspberry Pi a low cost computer. 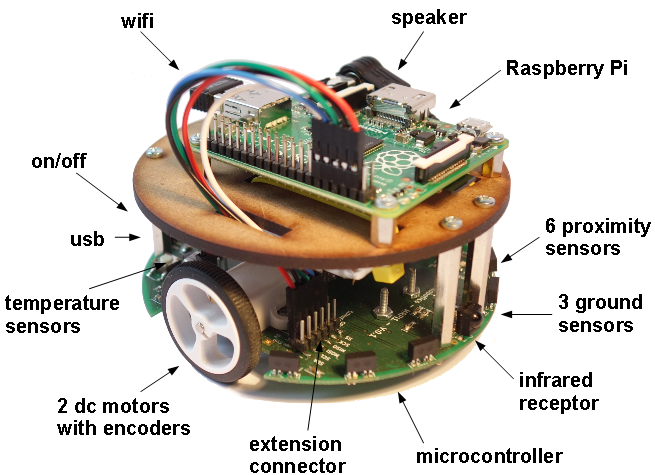 MRPi1 is a complete kit to build yours own desktop size mobile robot. It’s very easy to program and customizable. 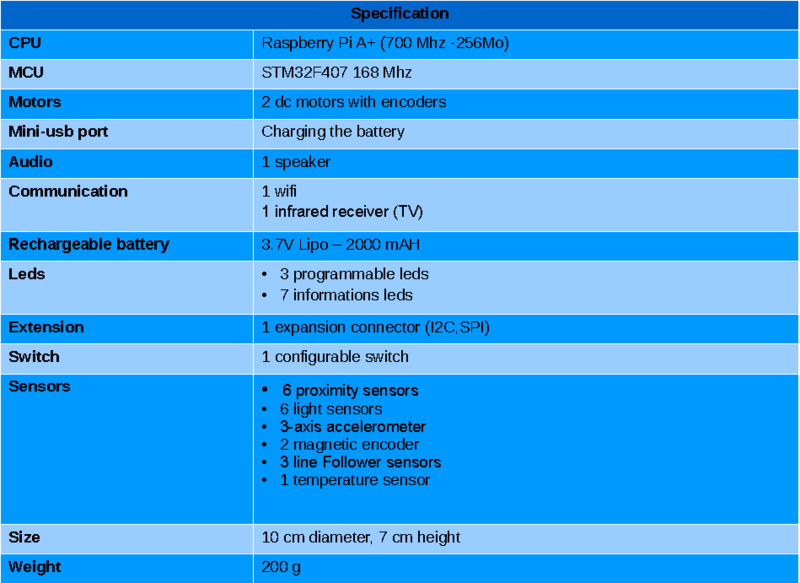 MRPI1 includes manys sensors, accelerometer 3 axes, infrared, temperature, light, Wifi and a speaker. You can program the MRPi1 easily in Python or C for controlling the robot. What this robot can do ? 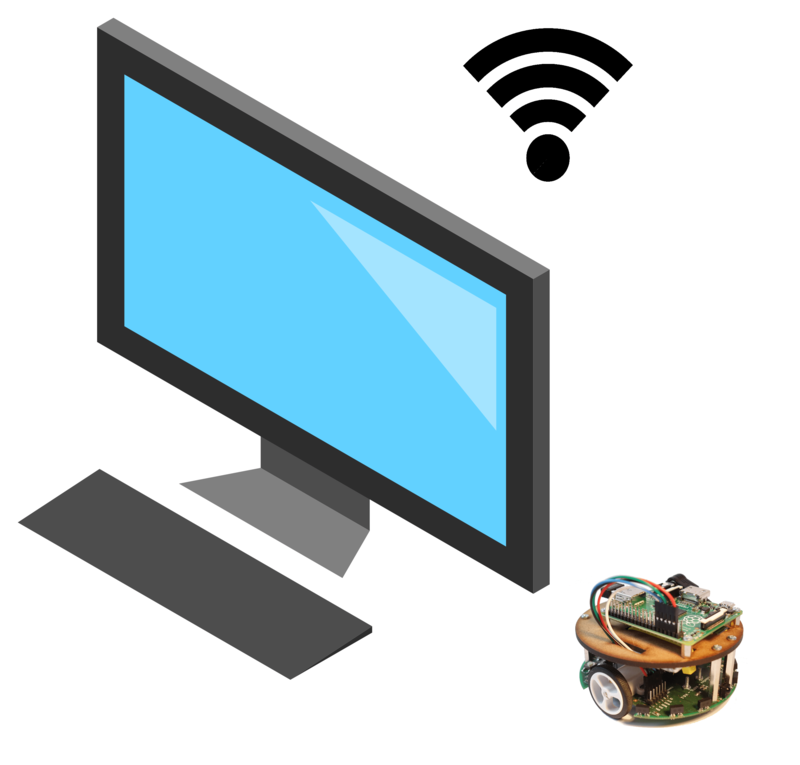 What do I need for programming the robot ? You need just a computer with wifi. You don’t need cable for programming the robot. How I charge the robot battery ? You need just a USB cable. What are the programming langages can I use ? What are the future extensions modules ?